Part of the 10 year construction and refurbishment contract, Skanska are completing major construction works in moving the existing wards to new buildings and refurbishing existing buildings for new uses at St Bartholomew’s Hospital. 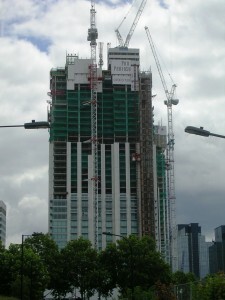 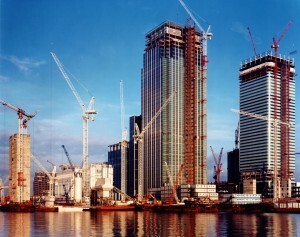 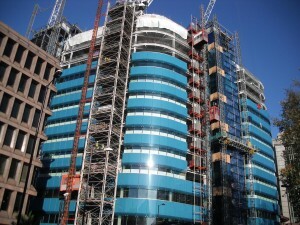 The current phase is now concentrating on the fit out of the new and existing buildings. 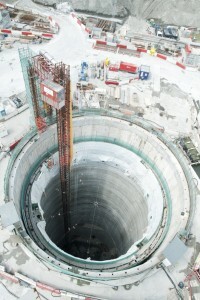 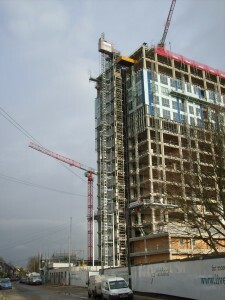 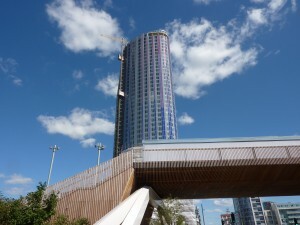 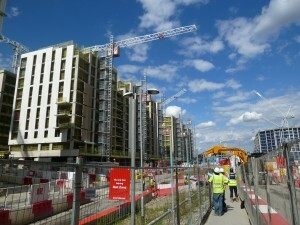 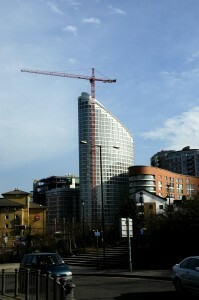 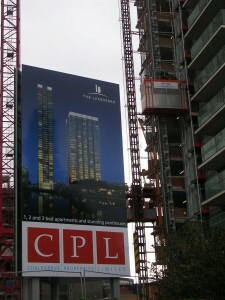 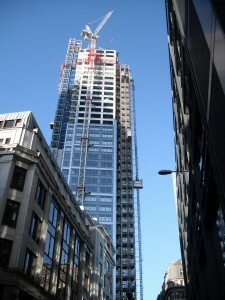 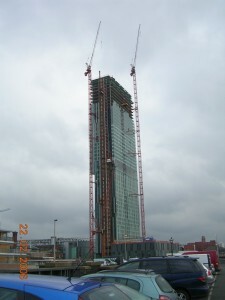 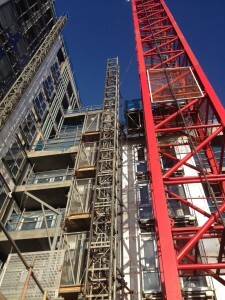 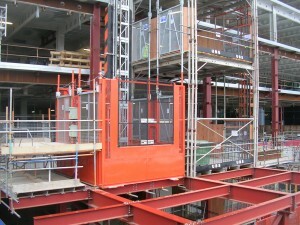 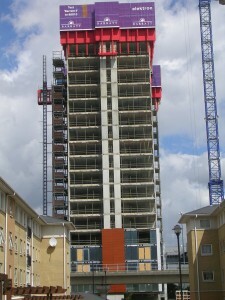 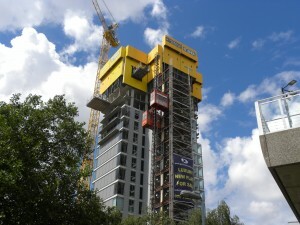 Working closely with Skanska UBS have developed new construction hoist works designs to suit the restrictions on site. 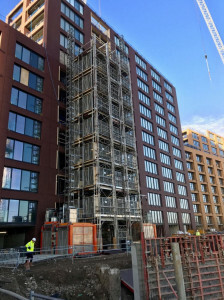 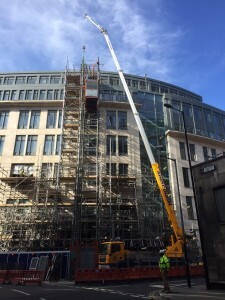 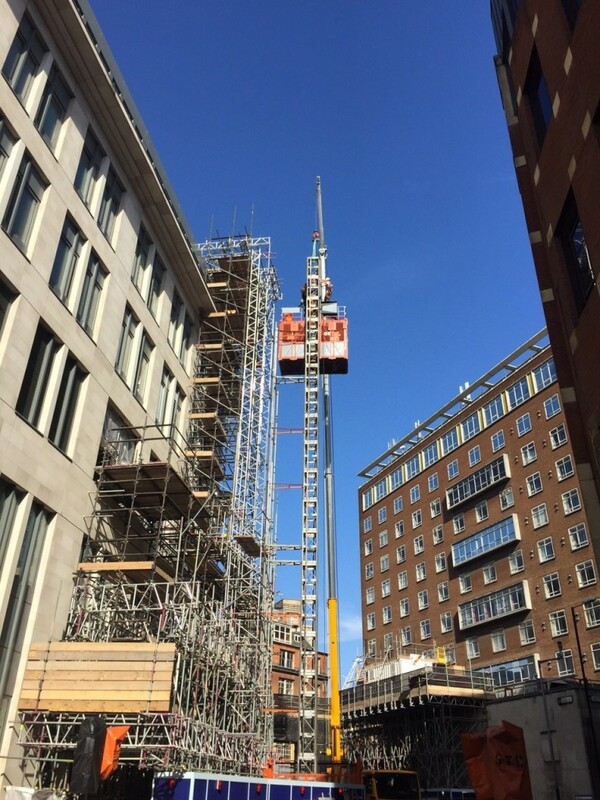 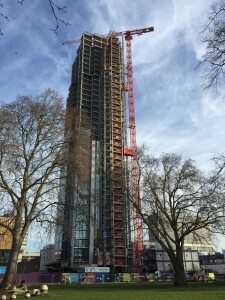 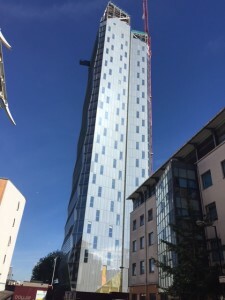 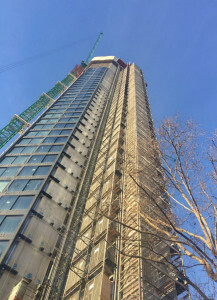 A hoist on the pathology block sees access into the building very restricted meaning that UBS have had to tie up with scaffolders to give the most efficient access as possible. 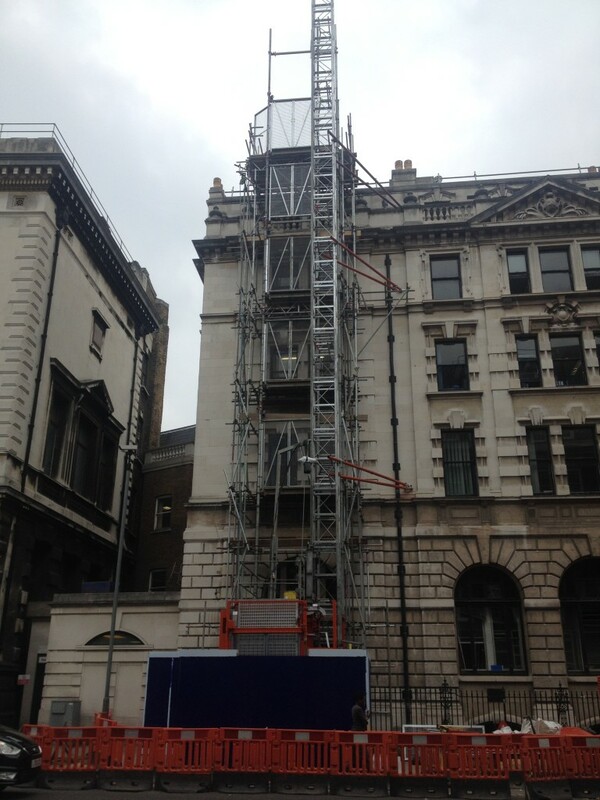 A hoist on Giltspur Street utilizes long tie legs and a tie in the middle that has been used simply for erection and dismantle purposes. 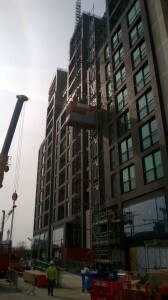 With no cranes on site the independent hoist erection crane on the roof of the hoist has proved its worth. 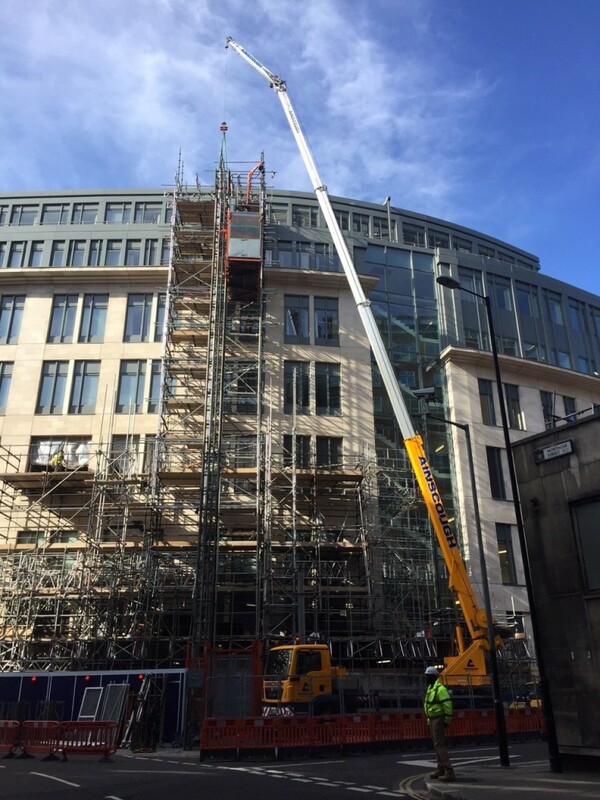 Working in conjunction with Ainscough Crane Hire UBS have installed a large passenger goods hoist onto the building on the corner of Little Britain Street. 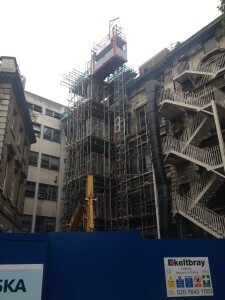 Ties were restricted as the external walls of the building could not be touched and, as the hospital was still in full operation, ties could not go inside. 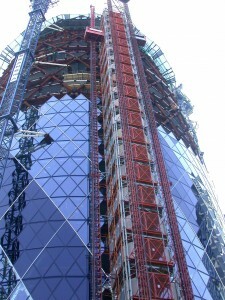 Travelling a large distance in between ties allowed UBS to tie at only two levels. 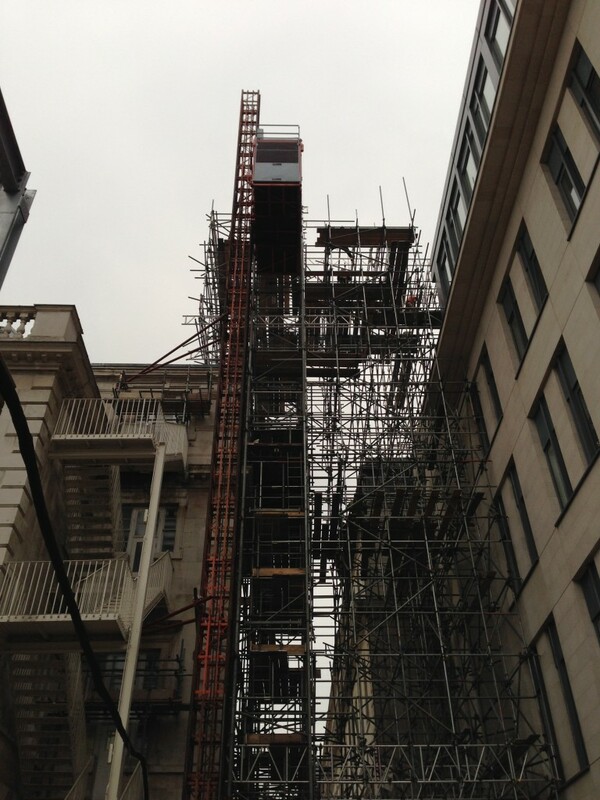 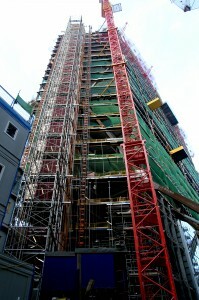 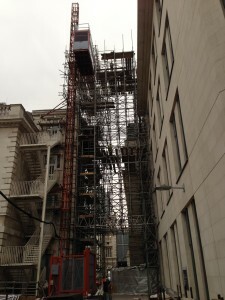 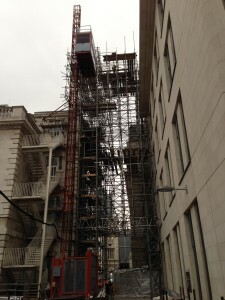 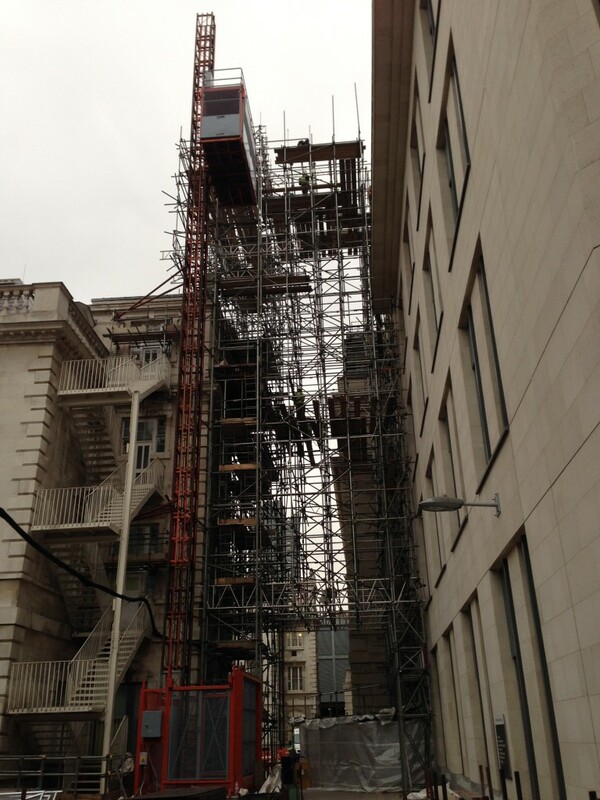 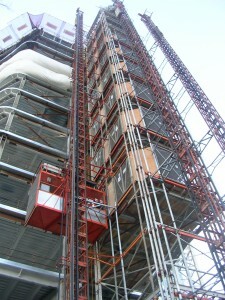 Working in conjunction with PHD Scaffolding UBS installed a hoist to the West Wing. The hoist utilized the mountains of scaffold installed to act as a run-off into the opposite building. At base level there was still room to allow for the emergency services to pass through which was the main priority in this location.